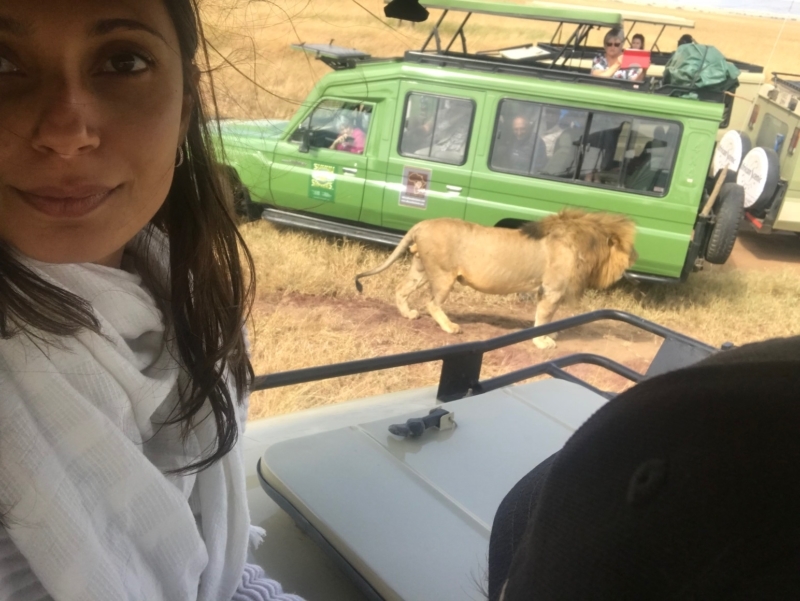 Part 3 of our East African Adventure continued from exploring Tarangire National Park, to milking cows in Ngornogoro Crater, to a 4 hour “African Massage” ride (aka: massively bumpy roads!) 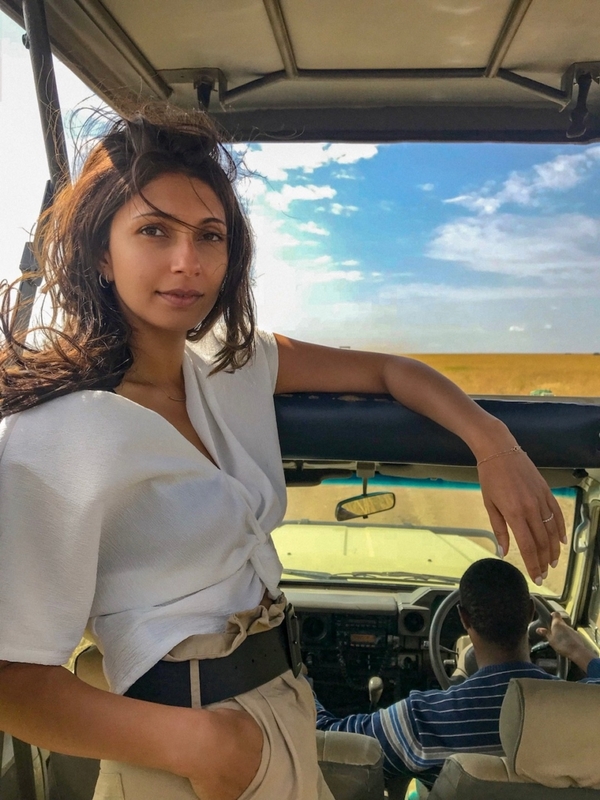 into the famous Serengeti. We had timed our trip in hopes to witness the great migration. Luckily, the safari gods were on our side. 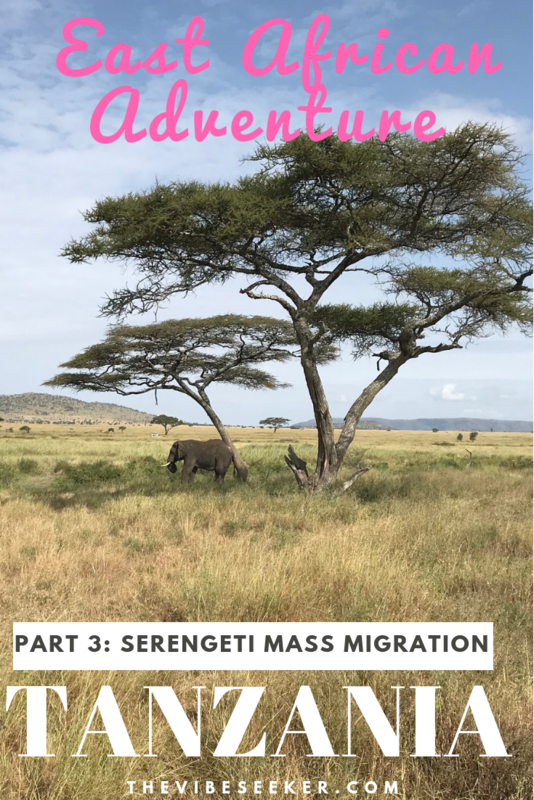 The Serengeti migration is one of the worlds most fantastical natural events. Each year, over a million wildebeest, zebra and antelope migrate around the Serengeti (Tanzania) and Masai Mara (Kenya), only stopping to mate and make babies. It’s hard to catch these moments as our climate is changing, so are the animals patterns. Nevertheless, we were hopeful. 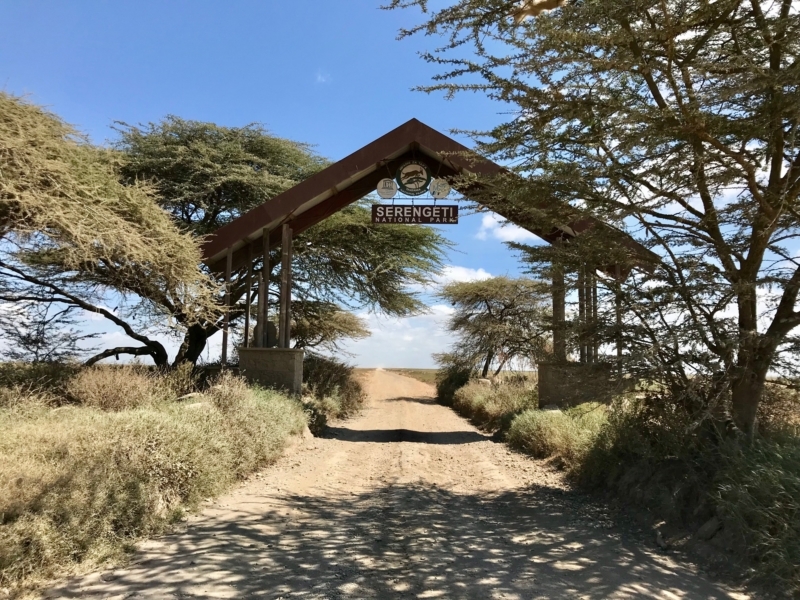 Arrival at the entry gates of the vast Serengeti. 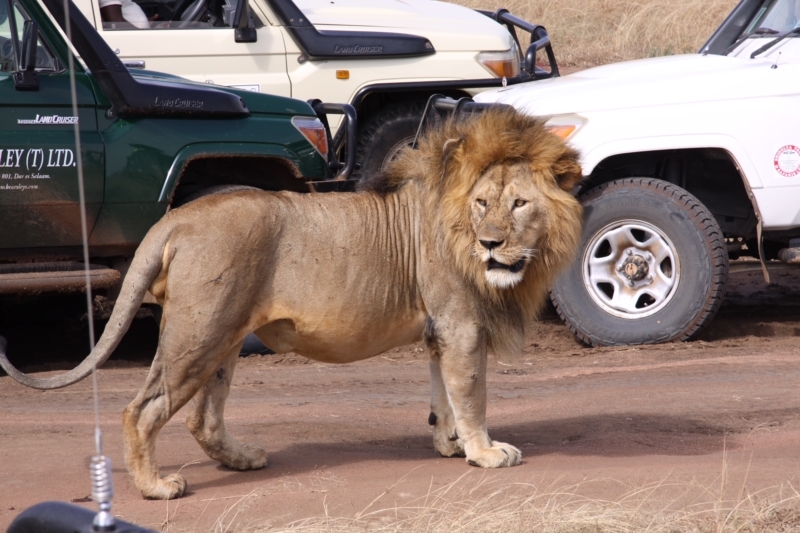 Upon arrival at the Serengeti gate we immediately began a game drive. It was interesting to see the landscape shift so drastically in a mere 4 hours. In Ngorongoro, specifically in Karatu at Gibbs Farm, the landscape inspired a jungle-like essence. Everything was so green, lush and wet. 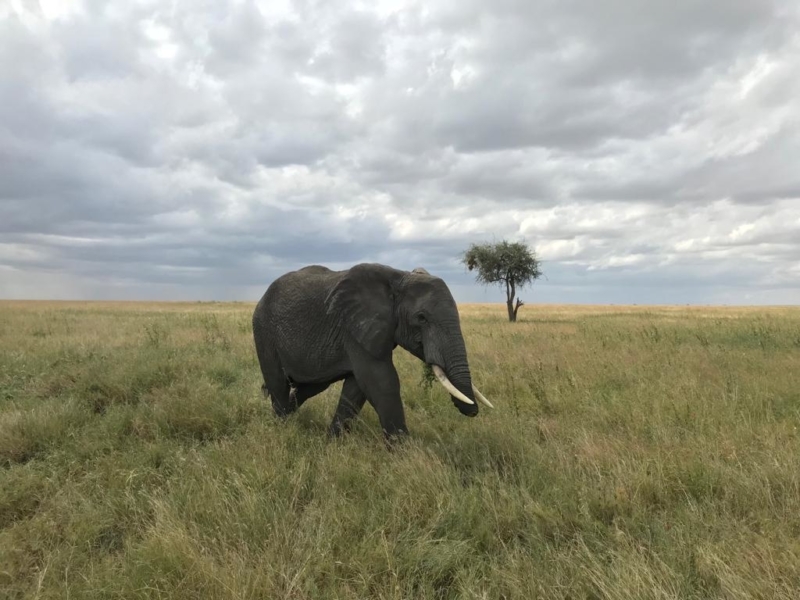 In the Serengeti, we were surrounded by desert plains with no end in sight. 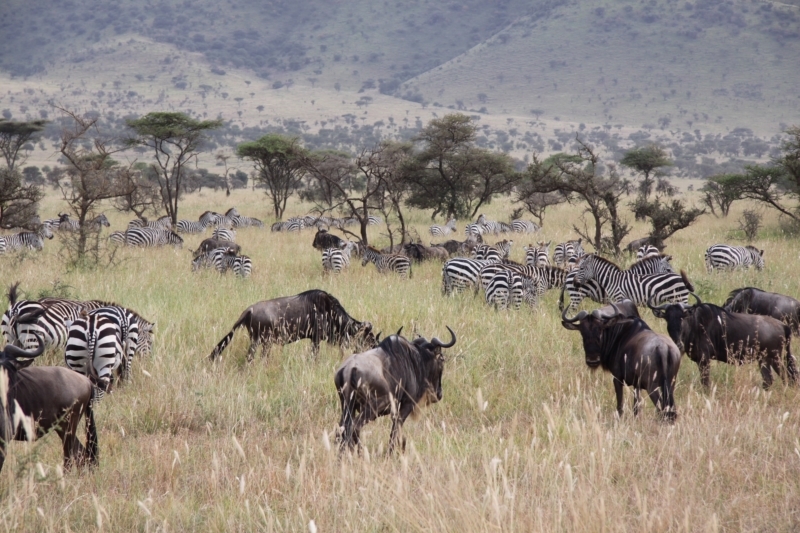 The name “Serengeti” is actually derived from the Maasai language and it’s literal translation is “endless plains”. Makes sense. 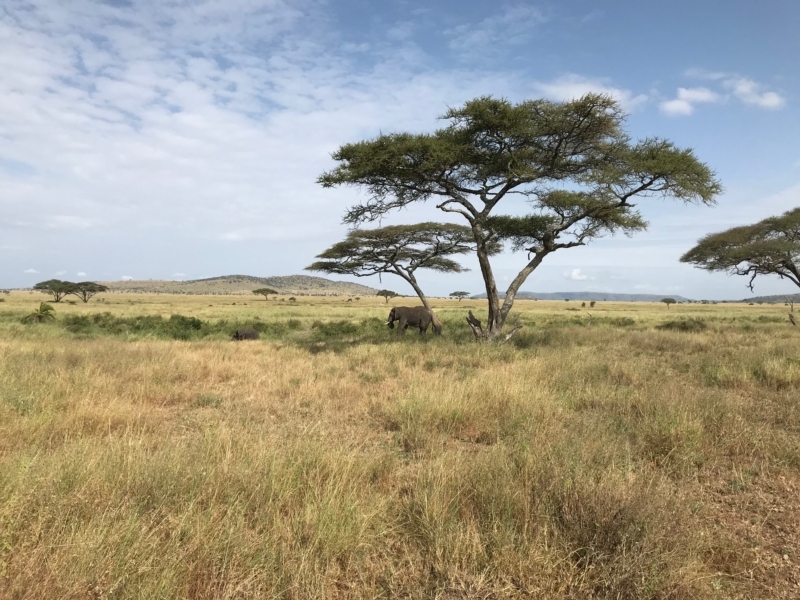 A snapshot of the landscape of the Serengeti. As we drove the bumpy dirt path and gazed out the window, we were awestruck at the beauty and solitude of the great park. 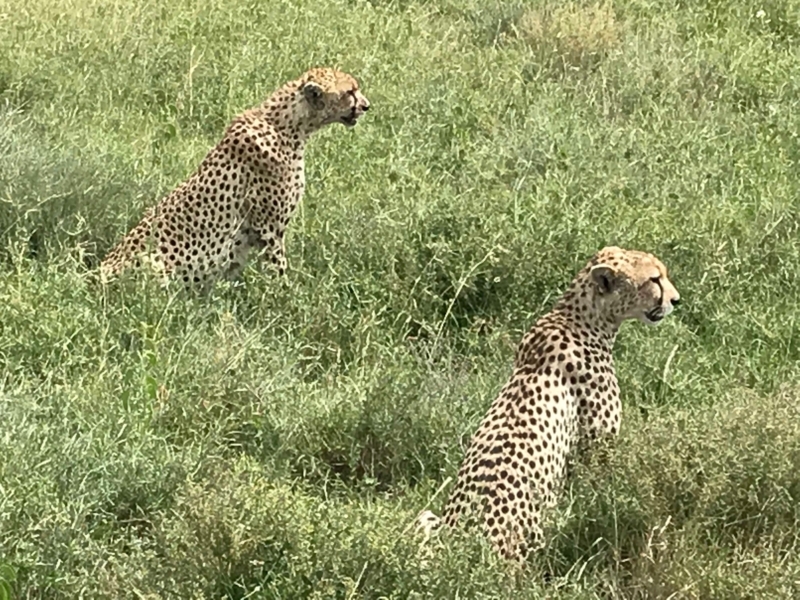 The sun was shining, zebras were roaming, wildebeest were playing with each other, and almost immediately we spotted two leopards! 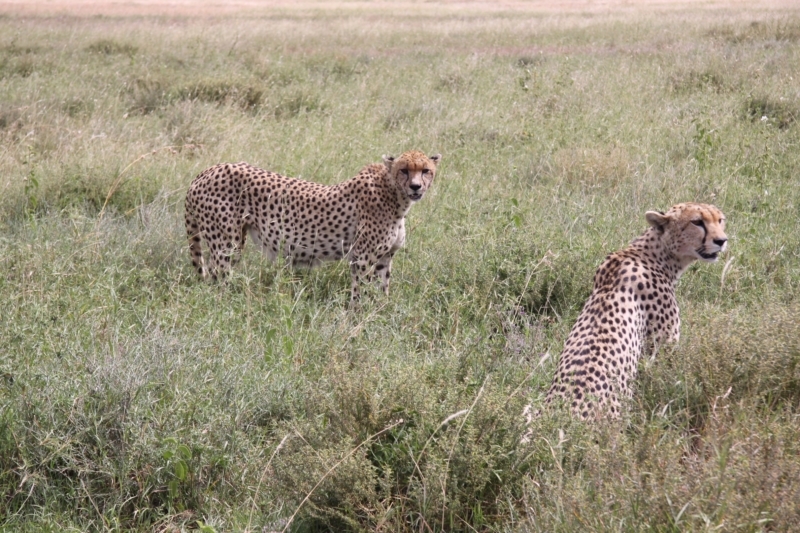 We spotted two brother leopards. How beautiful are these guys? Our guide was a risk taker. 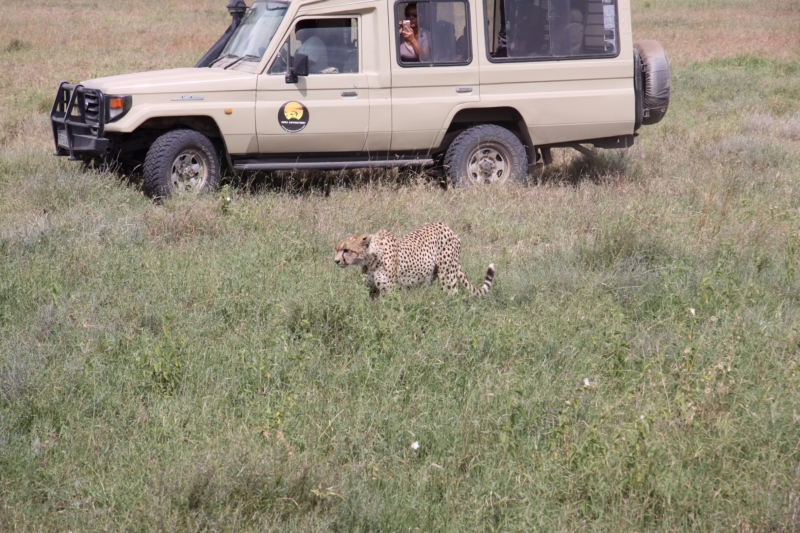 He went off roading for a bit so we could see the leopards closer. You can get a big fine for that, but he was brave. Watching leopards up close is like admiring a beautiful piece of art. They are truly stunning creatures. 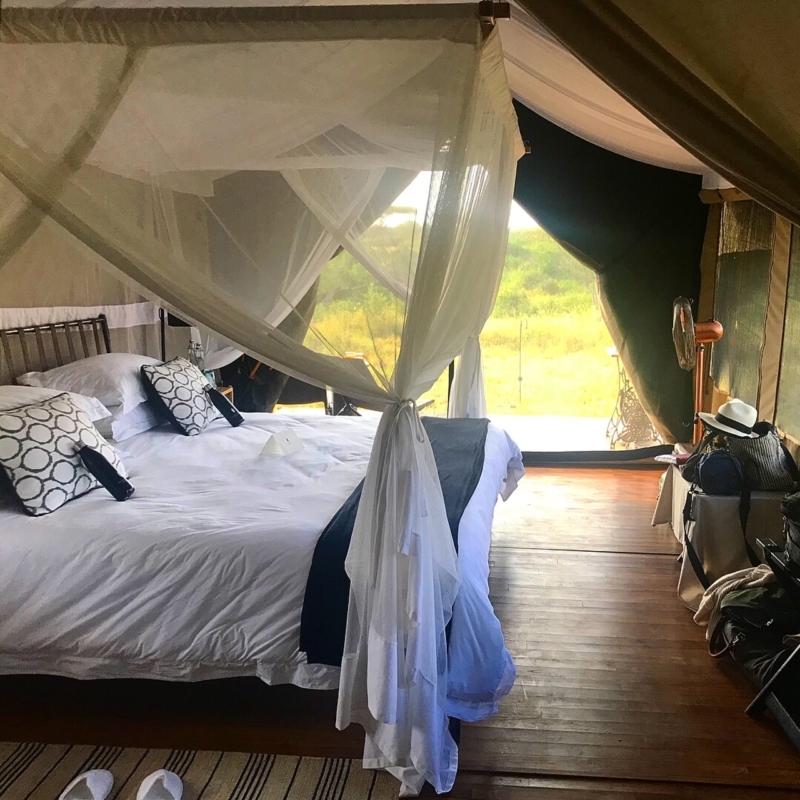 Few hours later we arrived to our extraordinary camp for the next two nights, Kichakani Serengeti. We chose this camp because they were “moveable”. 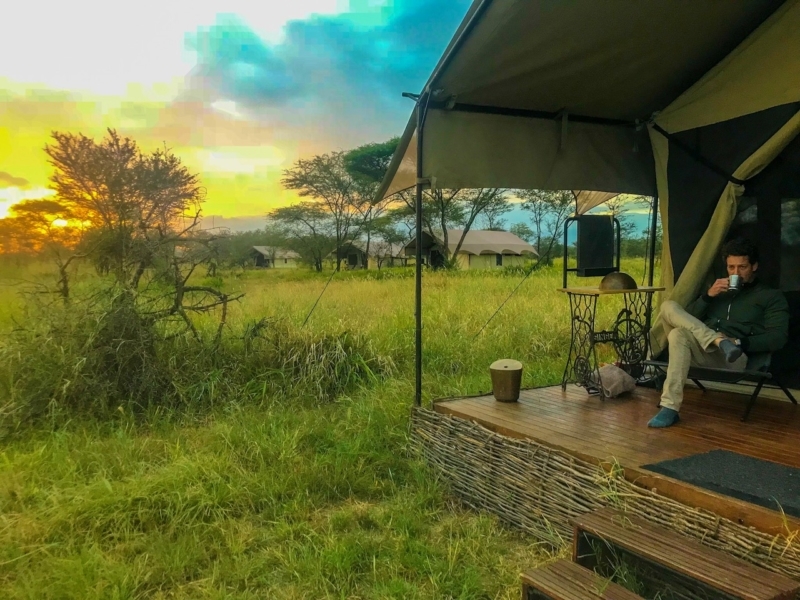 What that means is each season, the camp moves across three set locations in the Serenegeti to track the migration. Yes, that’s right, they move THE ENTIRE CAMPSITE to track the migration to ensure guests can experience it. I can’t even begin to understand how. After seeing the lobby of this camp, one immediately understands how massively impressive that feat is. The main bar and dining area. Can you believe they pick this all up and move it? 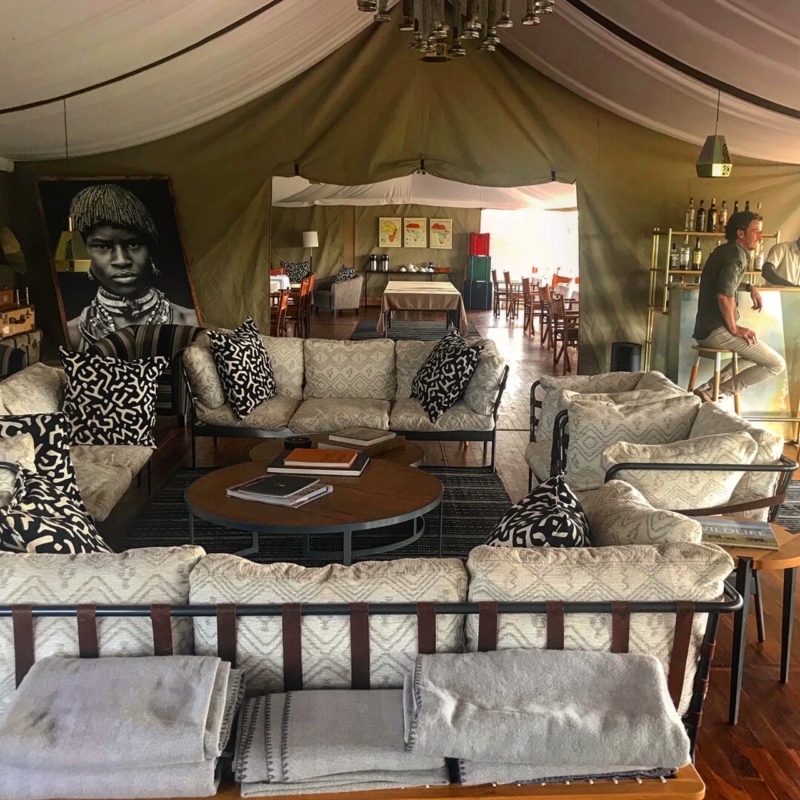 We arrived to the staff at Kichakani Serengeti waiting for us with cocktails, and cold towels (a sweet combo after a day in the bush). They showed us to our tent (aka: glamorous tented room) and asked us if we knew what bucket showers were. Um…no… we do not. Unfortunately for me, we were about to find out. The events that followed involve my showering with ice cold water while our dedicated butler stood outside pouring buckets of water into the shower and loudly shouting “Are you done yet?! Is water coming out? !” with me yelling back “Not yet!” and “I’m freezing!”. It was hysterical. We couldn’t stop laughing at the fact that he and I were basically showering “together”. But, it got the job done I must say. I was definitely feeling “refreshed”. Now no one can say I didn’t go camping! 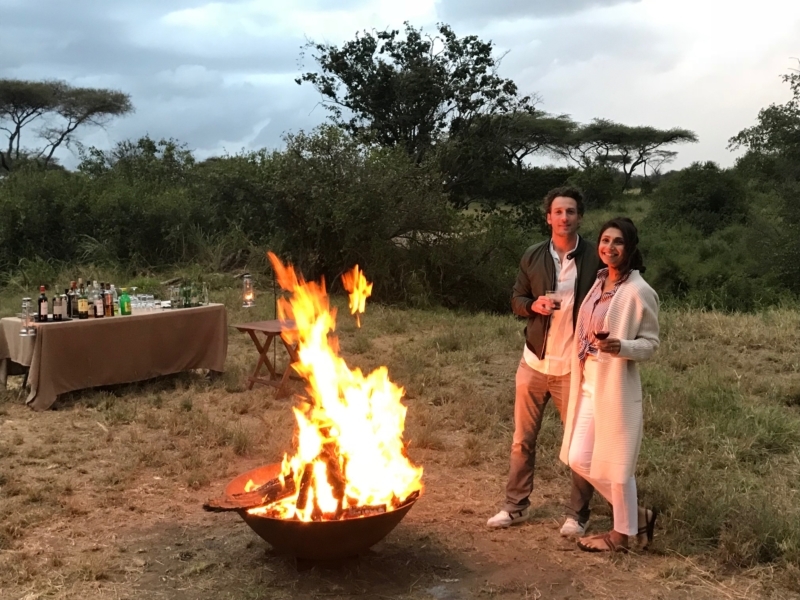 Sundowners and bonfires for the evening. 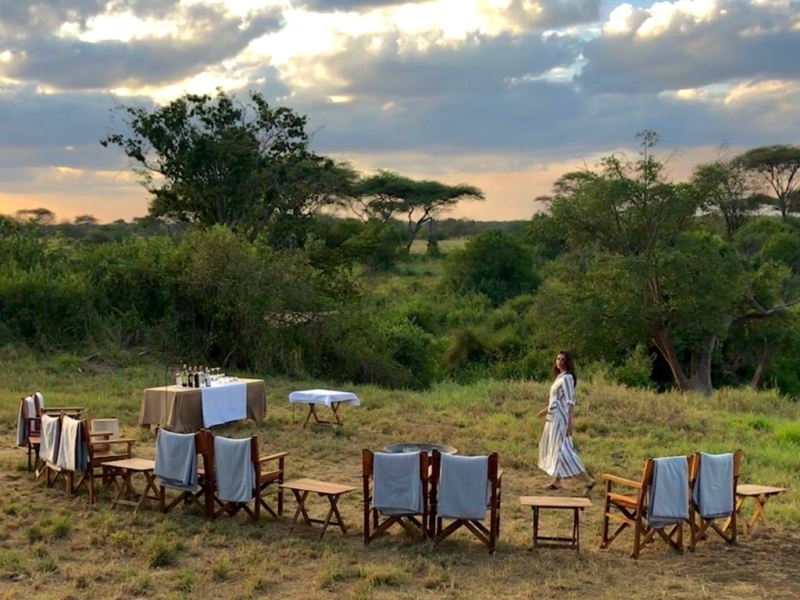 Magic hour in the Serengeti. At dinner, we got to meet our fellow guests. 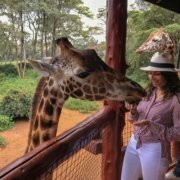 We had a couple on honeymoon from Barcelona; a couple from Switzerland who spontaneously decided to take 6 weeks off to travel through Africa (love that European mindset); a few guests from Australia including an older lady who was traveling solo (impressive); and lastly two American ladies from Seattle! It was such a treat getting to chat with Americans for a bit. 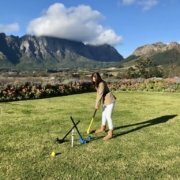 In Cape Town, we only know 1 American and never seem to meet any others. Over dinner, we caught up on America’s exciting and horrific political scene, and shared our much asked about story on how we chose to move abroad. It was a wonderful bonding night. 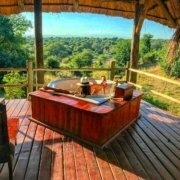 As we fell asleep that night, we could hear the roar of lions and the high pitched yelp of the wildebeests. Little did we know how close they all were. We found out the next morning! Sigh. Why can’t we wake up like this every morning? As the sun was rising hot coffees were brought to us in our tents. No doubt, a luxury I enjoy to the fullest (I’m sure by now you all have a deep understanding of the demon I am if coffee isn’t running through my veins first thing in the morning). After a lovely breakfast in the main lounge with our new friends, we set out on a mission to track the migration with our guide. Two minutes later: mission complete. 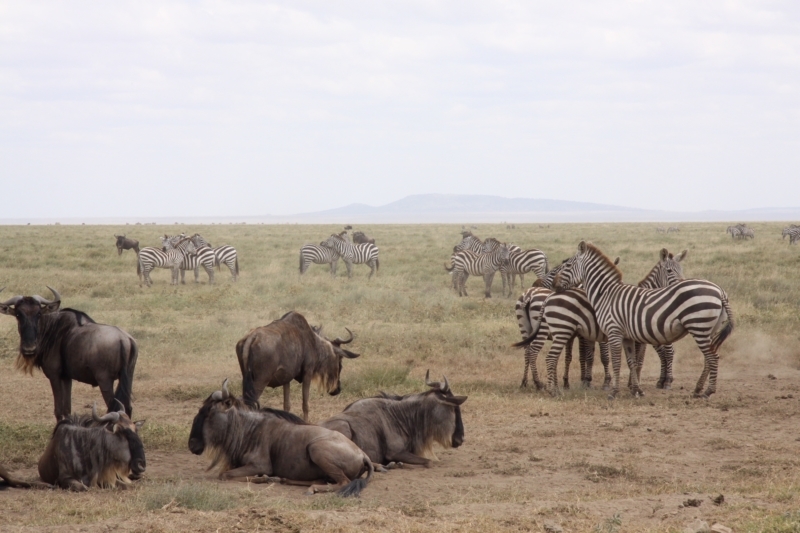 We barely left our camp when we ran smack into a sea of zebras and wildebeests. There are no words. We were left speechless. I promise you….it is worth watching this video. We hardly could believe our luck. 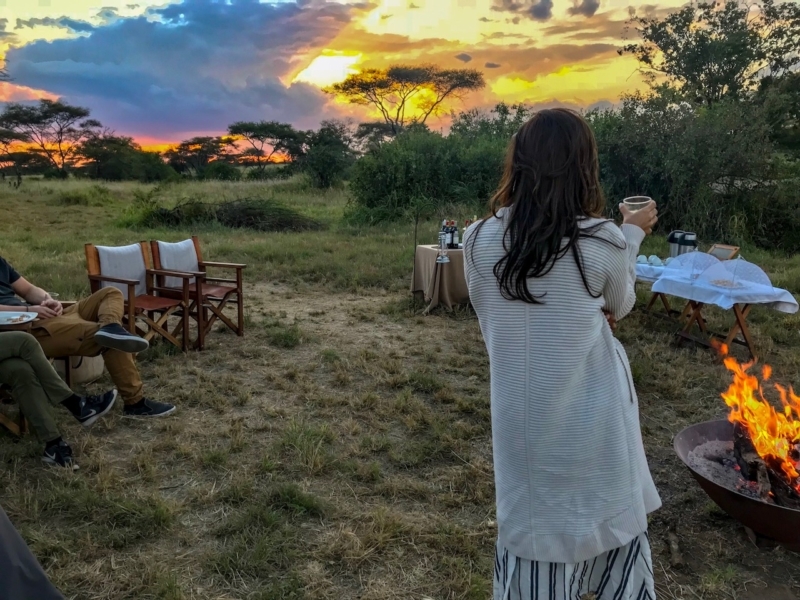 Here we were in the Serengeti, stumbling upon one of the worlds most fantastical natural events. It was truly a visual shock. 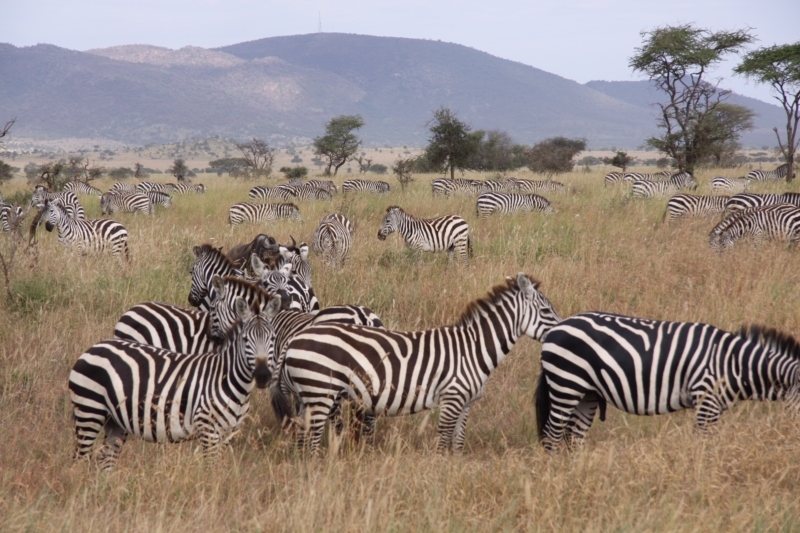 To see that many zebras and wildebeests together marching and playing together and getting to observe nature that closely was incredible special. Little did we know that a few hours later we’d be eating lunch with some lions. Never have I see an animal that exudes power, strength and grace more so than the protective lion. We were already blown away by our morning, it honestly felt like nothing could trump witnessing the mass migration. That is until we ran into a family of lions. 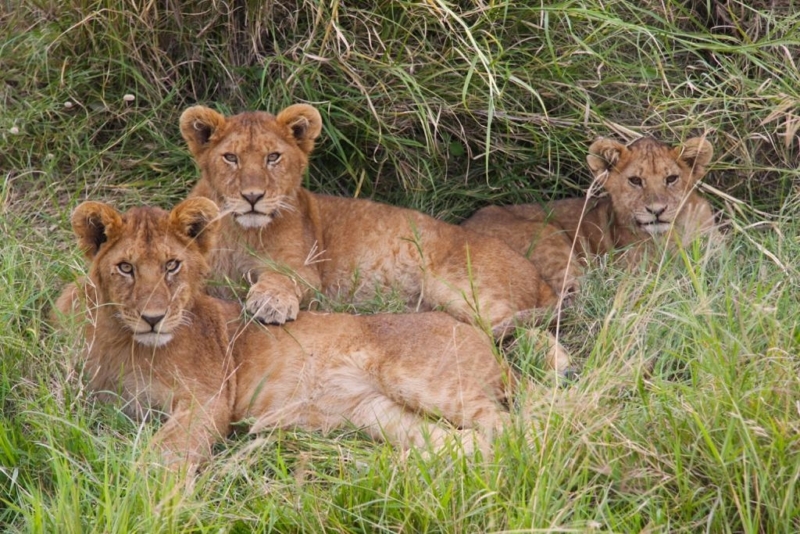 When I saw family, I mean nearly TWENTY LIONS taking a leisurely afternoon siesta. It was one of the best moments of my life! Have you ever seen a creature so fierce? Daddy was massively unfazed by my staring at him with my jaw hanging. We spent an hour or so just watching them. We even pulled out our picnic our camp made for us and enjoyed lunch and lion gazing. 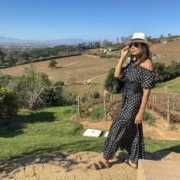 Day 2 was what safari dreams are made of. After an evening of gleefully exchanging stories with our fellow campmates, we went to sleep with so much gratitude in our hearts. 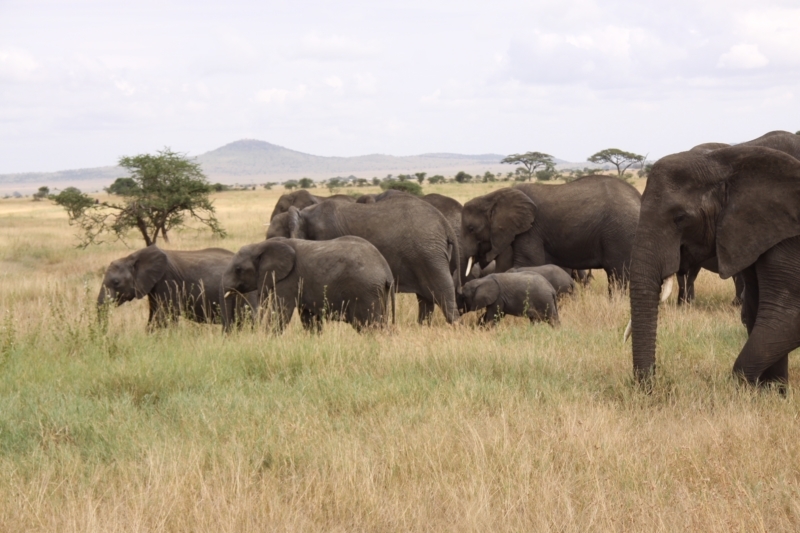 As we drove to the airstrip in the Serengeti, we ran into a family of elephants! It was the largest family we have seen so far. Nearly 20 of them! 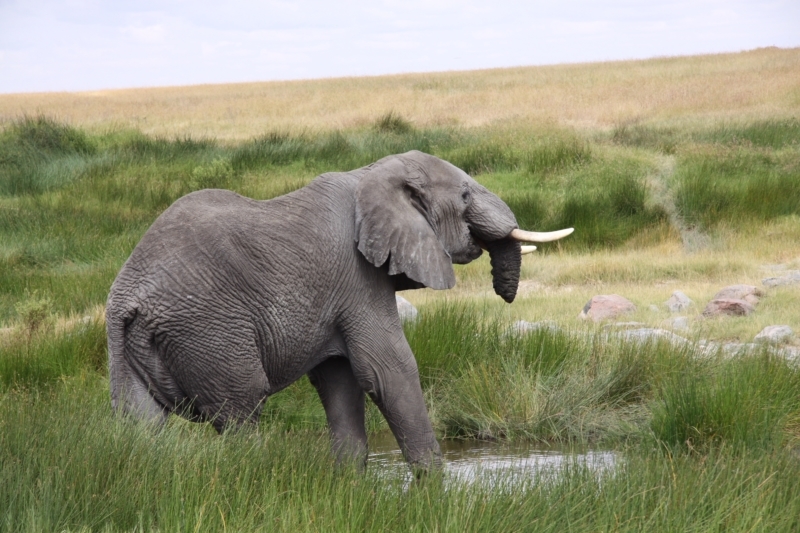 One of the most memorable moments (there were many) of our Serengeti trip was oddly enough on our way out. As we cruised to the airstrip, we noticed there was a traffic jam ahead of us. As we slowed our car, we leaned out and asked what everyone was looking at. 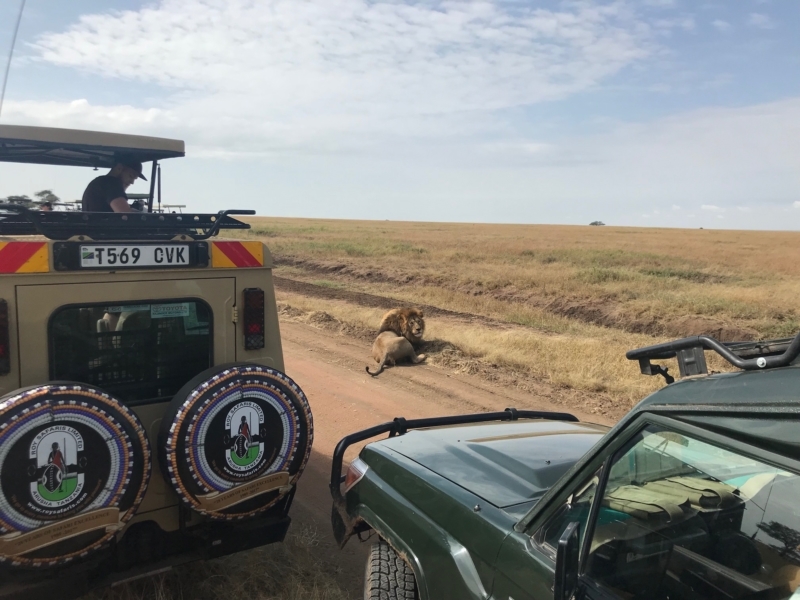 Of course, who else could stop traffic besides the strong and fierce lion?! Just causally chilling in the middle of the road was a male lion with his girlfriend. We get it, you’re the king. He was SO close to us! It was even a closer experience than the day before. 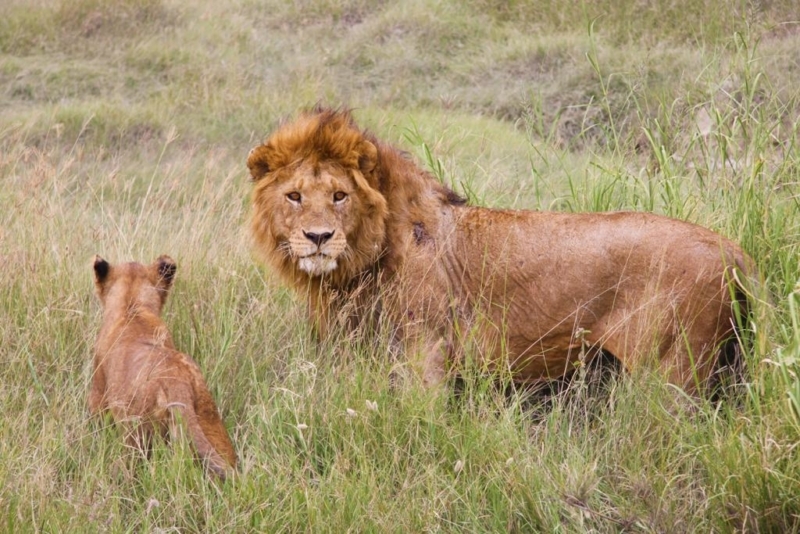 The male lion kept following his girlfriend around in circles but she was growling at him back. I asked our guide if she didn’t like him and he replied that this was their mating ritual. 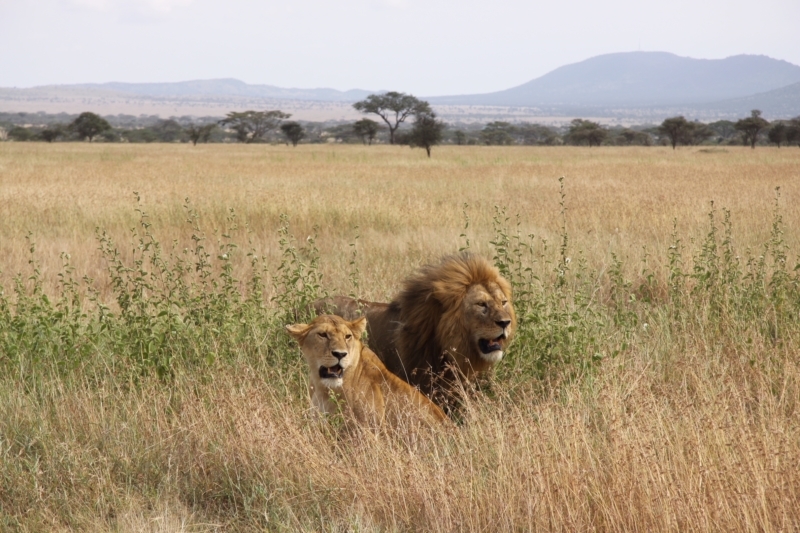 When lions are mating, the male lion sticks very close to his female companion for about a week or so following her anywhere so they can mate enough to make babies. It was fascinating to get to watch a snippet of it! 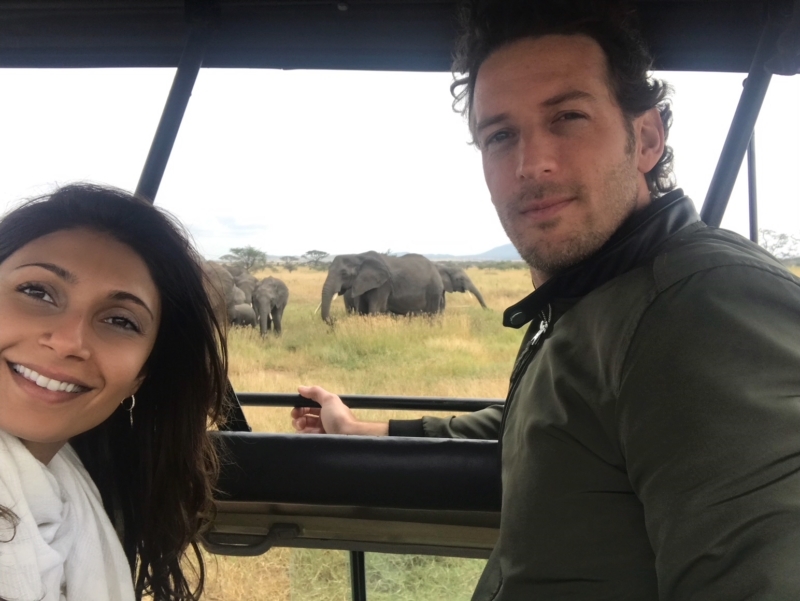 After I could finally pull myself away, we kept driving towards the airstrip and proceeded to run into a herd of elephants! There must have been at least 20 or so grouped together all marching along with their babies in tow, as their mommas nudged them with their trunks. So, so, so sweet. I love baby elephants! 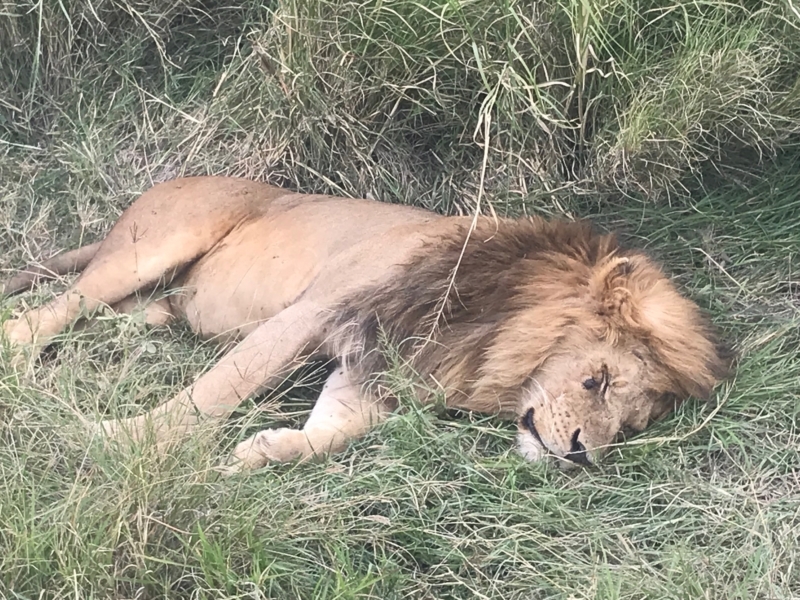 Finally, our animal seeking adventures in Tanzania were over. Although we were sad to leave, after being in the bush for 5 straight days, we welcomed a nice hotel, with a long hot shower. Preferably one with no company ;). Also, the adventure wasn’t over yet. 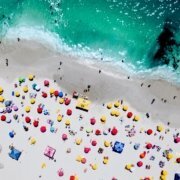 Blue water, tropical weather, and white sand beaches awaited us. 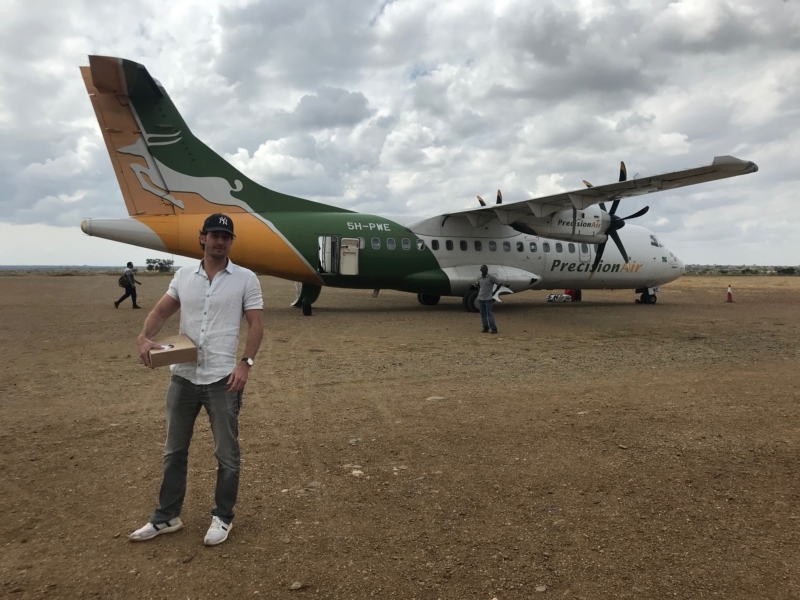 Zanzibar, here we come!